* NOTE: When watermarked, other images of NIU by Vikings on this post are from Our Awesome Planet. In my hunger, I didn’t waste any time getting to the food, and forgot to take pictures! Oops. My family and I met up at NIU by Vikings in SM Aura Premier. 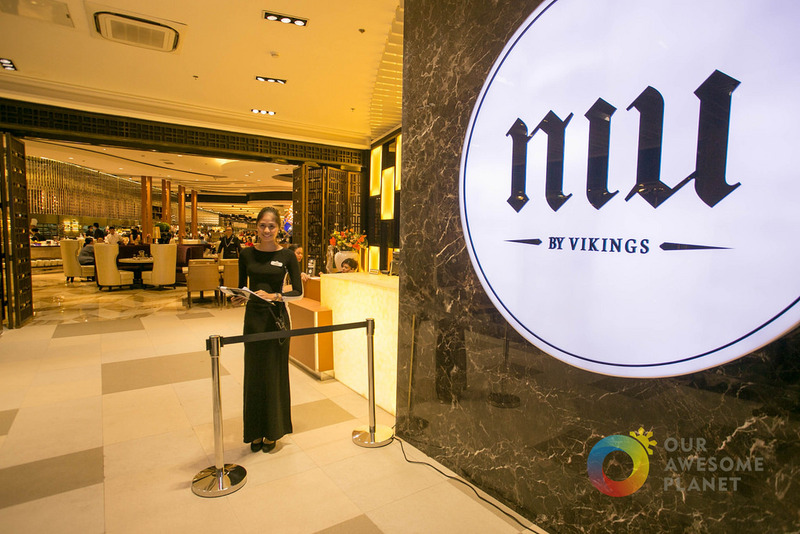 NIU (pronounced “nee-uh”) is part of the Vikings buffet chain. This translates to “nine,” and refers to the cloud 9 feeling that guests will have when dining here. Cost per child is done by the child’s height, interestingly enough, up to a maximum height of 4’6″. The place felt like the lobby of a boutique hotel or lounge. There may be a long wait to get in if you’re a walk-in, so my aunt chose to stay there and just text the rest of us when they were ready to seat us. While waiting, we explored the rest of SM Aura. 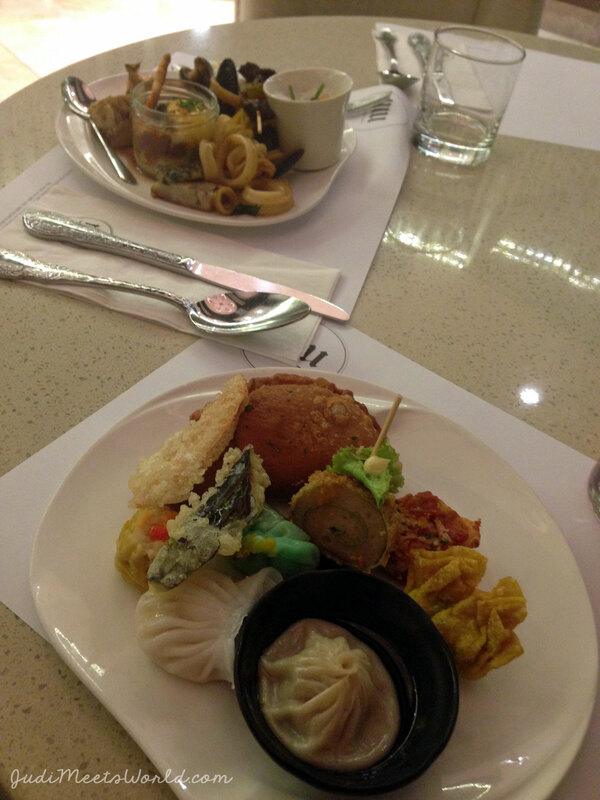 The food was presented in a very sophisticated way – not just laid out the way you would expect at other buffets. You pay for the vast selection (read below) and for the chic environment you’re in. Also make sure to drop by the rather lavish bathrooms. They’re gorgeous and a half! SO. MANY. OPTIONS. The amount of options overwhelmed me at first. My appetite didn’t even have enough room to try literally one small thing from each item available! There are the standard stations: salad, cheeses, dimsum, sushi, pasta, seafood, as well as a variety of Southeast Asian cuisine (Malay, Indian influence). Each meat option at the carving station also had a variety of sauce pairings as well. 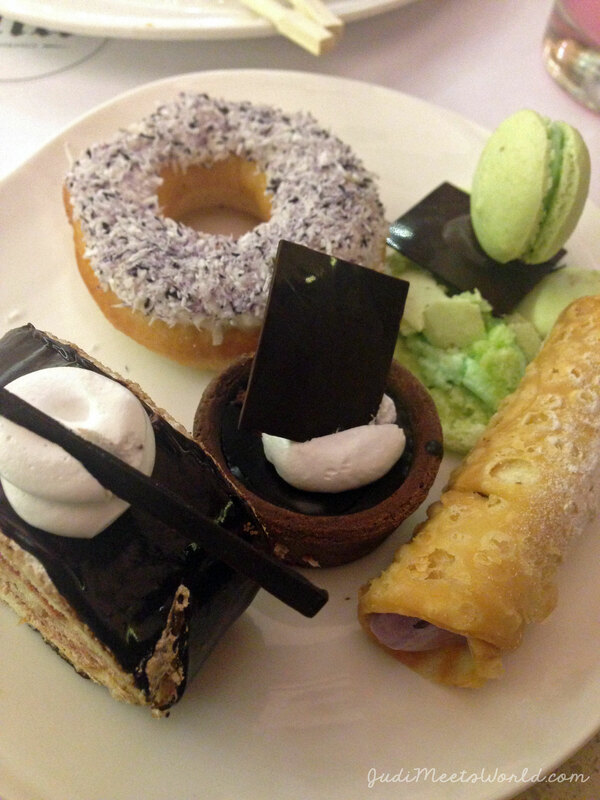 The dessert stations had everything from ice cream, to a halo-halo station, to an abundance of chocolates and pastries. Vegetarians – you will be able to find something to have here! For those who are of legal age, there is also a selection of alcohols (beers, wines, sake) that you can try….in moderation, of course. You’re looking to treat your family to a lavish food experience, or you’re celebrating a special event. 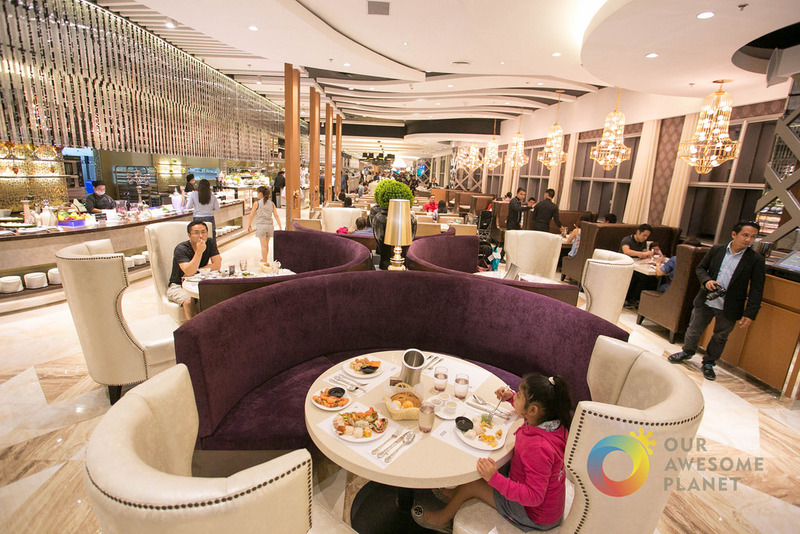 There are other buffet options in Manila such as Sofitel (Philippine Plaza) and the other Vikings restaurants but for a quieter ambiance, with a trendy feel to it, definitely give this place a shot. It’s worth the money for the experience, as well as the amount (and quality) of food!